Warmte-opnames van het hoofd, vóór en ná het bellen met een mobiele telefoon, tonen de duidelijke verschillen in de temperatuur van het hersen- en huidweefsel. Mobiele telefoons en kanker, een simpel verband..!! Mobiles ‘cooking the brain’; brain tumors become children’s number one killer illness; and leaked industry memo admits ‘wargaming’ the science. Seek truth from facts with former senior White House adviser Devra Davis, Storyleak editor Anthony Gucciardi, ‘cell phone survivor’ Bret Bocook, Microwave News editor Louis Slesin, top radiation biologist Dariusz Leszczynski, and Ellie Marks, whose husband Alan’s suing the industry for his brain tumor. Announcer: ‪Insurers refuse public liability for cell phones. The warning buried deep inside your mobile. And the next’casualty catastrophe’after tobacco and asbestos. Keith Philips, brain tumor survivor: I would hold my cell phone here and the tumor was right there. Stuart Cobb, brain tumor survivor: I always held it on my right side, right here. The industry should have put these warnings on these phones a long time ago. RT: Professor Dariusz Leszczynski is one of the world’s leading radiation biologists, and brave. He knew phone manufacturers would try to end his career for printing groundbreaking research, proving cell phones do cause biological damage. Professor Leszczynski joins us, great to see you. How did the industry react? Dr. Keith Black, Cedars-Sinai Medical Center neurosurgeon: It’s essentially cooking the brain. RT: Ellie Marks’ husband Alan suffered serious memory loss after years of using a mobile. At 2am one night he had a massive seizure. Surgeons found a tumor the size of a golf ball right where he held the phone. Ellie, thank you so much for joining us. Why are you and so many others suing the industry? Ellie Marks, wife of brain tumor victim: There’s many many many others that are already deceased from this and are dying from this, younger than my husband. Some as young as 28 who are deceased and their neurosurgeons actually told them that it was probably their cell phone use. We had about 20 cities and states that wanted to legislate as San Francisco had and they were all threatened with lawsuits by this industry. RT: This is a photo of Bret Bocook’s brain. The top quarter responsible for body balance has had to be removed after surgeons found this vast tumor right where he held the phone. A US national rowing champion, now he can barely move. Bret, great to speak to you, tell us about the class action lawsuit against the phone industry. The Flintstonescigarette commercial: Winston, America’s best selling best tasting filtered cigarette! Roken veroorzaakt kanker, dat moet op de pakjes.. In hoeverre de mobiele EMS-straling evenzo beschadigend is voor onze gezondheid, dat mag nog steeds niet naar buiten..? Maar bewijzen te over..! En zo zijn we met z’n allen bezig met het grootste medische experiment in de menselijke geschiedenis.. Een steekproef van naar schatting meer dan 4 miljard mensen, wereldwijd! RT: Samantha Miller’s funeral was on her 18thbirthday. Phone use through childhood first gave her headaches, reports the Daily Mail, then the brain tumor that killed her. In the West, brain tumors have overtaken leukemia, notes Senator Lyn Allison, as the number one child killer illness. But doctors warn that’s the tip of the iceberg. Clinical studies find young men who keep phones in their pockets have much lower chances of producing offspring, while women often store them on their chest. RT: Tiffany Frantz got breast cancer aged just 21, right where since childhood she’s stored her phone. These spots mark the areas of Donna Jaynes’ cancer. Her doctors call this a ‘new breed of distribution’ that exactly matches where women keep their phone. RT: This is a radiation detector, in normal surroundings around 30 microvolts/meter (µV/m). Microwave ovens reach 800 µV/m. Wi-Fi routers use the same radiation technology. Loading a film on a tablet PC reaches 2,000 µV/m. Some of the world’s best selling smartphones register over a thousand times above normal levels. Insurers have in fact stopped covering cell phone manufacturers for public health. Insurance firms privately call cell phones the next public ‘casualty catastrophe’ after asbestos and cigarettes. Phone manufacturers have now quietly inserted a legal disclaimer. On iPhones you have to go to Settings, General, About, at the bottom scroll down to Legal and at the end – RF Exposure, Radiofrequency Exposure. Unlike most pages, the small print here can’t be enlarged, but it reads: ‘Carry iPhone at least 10mm away from your body’. At the same time the industry says all its studies show phones are perfectly safe. RT: A ‘conflict of interest’ Harvard ethics professor Lawrence Lessig calls industry paid studies, which consistently conclude phone radiation is harmless. Independent scientists meanwhile overwhelmingly find the most serious problems, from DNA damage to three times lower sperm counts, 290% more brain tumors, autism and birth defects. Former senior White House advisor and leading epidemiologist Dr. Devra Davis has testified to Senate on the subject she joins us, great to see you. How do you explain the completely opposite findings between industry and independent studies? Dr. Devra Davis, author of Disconnect: Anytime there was independent research, what industry would do was three things: first they would go attack the scientists who have done the studies, they would try to get them fired, they’d try to get their funding taken away or they would accuse them of fraud. When that didn’t work they hired other scientists who knew nothing about the field to do studies that looked like they were replicating the other studies but they really weren’t. And when all of those things failed, they wrote a memo in which they said if the cellular industry has done its job we think we war-gamed the science. That’s a quote – ‘war-gamed’ the science. Now science is not a matter of war, and it’s not a matter of games; we’re deadly serious about our health and that of our children. RT: A sting has exposed how easy to get phoney studies in print. Posing as a serious scientist, John Bohannon sent in a paper full of schoolboy errors, offering payment for publication. Incredibly more than half the journals in these countries all around the world published it, even lying to the public that the study had been peer reviewed. Investigative journalist Anthony Gucciardi has broken numerous health scandals, great to see you. Surely big business wouldn’t fake studies to put millions of lives at risk. Do we have documented precedents? Hoe dokters zich in de jaren 1950 voor het karretje van de tabaksreclame laten spannen. Nu zijn er de Ali B’s die dit doen om de Vodafone’s van deze wereld er bij de jeugd door de strot te duwen..! Anthony Gucciardi, Storyleak editor: This is exactly like Eli Lilly which in the 1980s knew that Prozac was leading to suicides and aggressive behavior, the exact opposite effect ofwhat they wanted. They knew that in the 1980s after they conducted the research. They hid the research and it wasn’t exposed until 2005 from the BBC. But then they would have their corporate interests do studies and talk about how great it was. Now of course they’re required to admit that antidepressants do cause suicide, aggressive behavior, pretty much every shooter is on them. When these cell phone companies are forced to admit that cell phone radiation does cause brain tumors, that it does do all this, and they’re already saying this in their manuals, so it’s already coming up. But once the public is aware of this fact, it will be even worse than antidepressants, it will be even worse than tobacco. RT: We invited the powerful phone industry lobby CTIA to discuss the issues raised in this report. They sent a one-line refusal. RT: The industry’s most respected journalist is Dr. Louis Slesin, editor of Microwave News since 1981. Louis, great to speak to you, there seems to be a parallel universe of what the industry says and everyone else. Dr. Louis Slesin, Microwave News editor: The whole system is broken. People are not being told the truth, it’s crazy. You know it’s easy to say we made a mistake on tobacco after we know that tobacco’s a killer.The point is to take action. RT: Action IS being taken outside the US. France is moving schools back from Wi-Fi to cabled Internet. Countries from Germany to Israel and Finland are moving to stop cell phone sales to kids. But Obama just made industry chief lobbyist Thomas Wheeler head of the regulator itself, the FCC. A former administration official calls it another astonishing conflict of interest. So doctors who want parents at least informed of cell phone dangers to their kids say they aren’t holding their breath. Seek truth from facts. This is The Truthseeker. Mobieltjes ‘koken het brein’; de hersentumor wordt de dodelijke kinderziekte nummer één; en een uitgelekt memo geeft toe dat de wetenschap feitelijk een ‘wargame’ speelt. (in commerciële setting bewegingen te simuleren als er vanwege een verandering in de situatie competitie ontstaat). Zoek de waarheid in de feiten die zijn ontdekt met voormalig senior adviseur van het Witte Huis, Devra Davis, editor/klokkenluider Anthony Gucciardi, overleverende van de een ‘mobiele telefoontumor’, Bret Block, de editor van Microwave News Louis Sletig, top radiologisch bioloog Dariusz Leszczynski en Ellie Marks, wiens echtgenoot Alan de industrie aanklaagt vanwege zijn hersentumor. RT; Mijn naam is Daniel Bushell. Groepsvorderings-rechtszaken ingediend tegen mobiele telefoon fabrikanten. Te verwachten…. Aankondiger: Verzekeraars weigeren openlijke aansprakelijkheid voor mobiele telefoons. De waarschuwing ligt diep in uw mobieltje begraven. En brengen de volgende catastrofale slachtoffers na tabak en asbest. Keith Philips, die een hersentumor heeft overleefd zegt: “Ik hield mijn mobieltje altijd op de plek waar de tumor kwam te zitten”. Stuart Cobb, die een hersentumor heeft overleefd zegt:“Ik hield ‘m altijd aan de rechterkant, precies hier. De industrie had al heel lang geleden een waarschuwing op die dingen moet zetten. Dr. Keith Black, Neurochirurg aan de Cedars-Sinai Mediaal Center: “In feite kookt het de brein”. Bret Block, hersentumor slachtoffer: “De enige manier om het publiek te informeren tegen grote bedrijven is via rechtszaken. Dat is hoe ze het met roken deden. Pas toen de officieren van justitie van Amerika zich er mee gingen bemoeien en de sigaretten industrie aanklaagden en tot een overeenkomst kwamen, en honderden miljoenen dollars moesten betalen voor bewustmaking van de gevaren van roken. Dat is wat er met mobiele telefoons gaat gebeuren. Het is gewoon ondubbelzinnig categorisch dat deze dingen kanker veroorzaken. En ook, ze willen niet dat jij dat weet. Dit heeft dezelfde beloop als roken. Als je naar roken kijkt, in de jaren ’60 had je doktoren die op tv kwamen en zeiden; “Hé, rook Marlboro, rook dit merk, want het is goed voor je hoest”. Camel sigaretten reclame: “En zie eens hoe Camel het eens is met je keel”. Bret Block, hersentumor slachtoffer: “En meer gevaarlijk voor kinderen, omdat hun schedels een stuk dunner zijn. Je kunt in ieder geval geen sigaretten kopen tot je achttiende, maar een vijf jarige kan een mobieltje kopen”. RT: Jonge kinderen zijn het doelwit van telefoon fabrikanten. Ze zijn nu bezig met mobieltjes voor baby’s. RT: Samantha Miller’s begrafenis was op haar achttiende verjaardag. Telefoon gebruik in haar jeugd veroorzaakte in de eerste instantie hoofdpijnen, rapporteerde ‘The Daily Mail’, toen een hersentumor haar fataal werd. In het westen hebben hersentumoren Leukemie overtroffen als de, volgens senator Lyn Allison, nummer één dodelijkste kinderziekte. Maar doktoren waarschuwen dat dit maar het topje van de ijsberg is. Klinische studies ondervonden dat jonge mannen, die hun mobieltje in hun zakken dragen, kleinere kans hebben tot het produceren van nageslacht, terwijl vrouwen deze vaker dragen ter hoogte van hun borst. RT: Tiffany Frantz kreeg borstkanker toen ze pas 21 jaar was, precies daar waar ze als kind haar mobieltje droeg. Deze plekken markeren de gebieden van Donna Jaynes kanker. Haar doktoren noemen dit een nieuwe broedplaats voor celdeling dat exact past daar waar vrouwen hun telefoon dragen. Dr. John West, bestuurder, Borstkanker center; “Het is een erg ongewoon patroon waar deze meervoudige kleine kankercellen zich ophopen op de bovenste innerlijke gedeelte van de borst. Ik heb nog nooit eerder zoiets gezien”. RT: Dit is een straling detector. In normale omgeving rond 30 microvolts/meter (μV/m). Magnetron ovens bereiken 800 μV/m. Wi-Fi routers gebruiken dezelfde straling technologie. Om een film op een PC tablet te laden bereikt het 2,000 μV/m. Sommige van de best verkochte smartphones registreren meer dan duizend keer boven de normale waardes. Verzekeraars zijn gestopt met het dekken van mobiele telefoon fabrikanten voor de volksgezondheid. Verzekeringsmaatschappijen noemen mobieltjes de volgende dodelijke catastrofe na asbest en sigaretten. Telefoon fabrikanten hebben stilzwijgend een wettelijke aansprakelijkheid bijgevoegd. Op Iphones moet je naar “settings” gaan, Genreral, About, aan de onderkant scroll je naar Legal en aan het eind – RF Exposeer, Radiofrequentie Exposeer. Anders dan de andere pagina’s kunnen deze lettertjes niet worden vergroot, maar er staat geschreven; ‘draag de iPhone ten minste 10 mm van het lichaam af.’ Op hetzelfde moment zegt de industrie dat alle studies laten zien dat telefoons volkomen veilig zijn. Thomas Wheeler, hoofd van de CTIA telefoon lobby; “Radio golven van mobiele telefoons zijn veilig”. RT; Harvard ethisch professor Lawrence Lessig noemt de door de industrie betaalde studies, die beweren dat telefoon straling onschadelijk is, belangen verstrengeling. Ondertussen doen onafhankelijke wetenschappers overweldigende ontdekkingen van de meest ernstige problemen, van DNA schade tot een verlaging van driemaal het aantal spermacellen, 290 % meer hersentumoren, autisme en geboorte afwijkingen. Voormalig hoofd adviseur van het witte huis en vooraanstaand epidemioloog Dr. Devra Davis heeft deze onderwerpen aan de senaat verklaard. Fijn u te zien. Hoe verklaard u de compleet tegenovergesteld bevindingen tussen de industrie en onafhankelijke studies? Wetenschap is geen spel of oorlog. We zijn heel serieus als het om onze gezondheid gaat. RT: War-gaming, die deze Motorola document heeft geopenbaard, is betaald door de industrie om het publiek gerust te stellen. Norman Sandler, Motorola: “We hebben zorgvuldig dit onderwerp ge-war-gamed”. RT: Deze prikkel heeft laten zien hoe gemakkelijk het is om valse onderzoeksresultaten af te drukken. Zich hebben voorgedaan als een serieus wetenschapper, leverde John Bohannon een rapport vol met fouten aan en bood geld om het gepubliceerd te krijgen. Wonderlijk genoeg werd dit rapport wereldwijd in meer dan de helft van alle tijdschriften gepubliceerd, terwijl de lezers voorlogen werden dat dit alles uitvoerig is onderzocht. Onderzoek journalist Anthony Gucciardi heeft verschillende gezondheidsschandalen onderuit gehaald, fijn je te zien. Grote bedrijven zullen beslist geen onderzoeksresultaten vervalsen om zo miljoenen levens te riskeren. Hebben we gedocumenteerde precedenten? 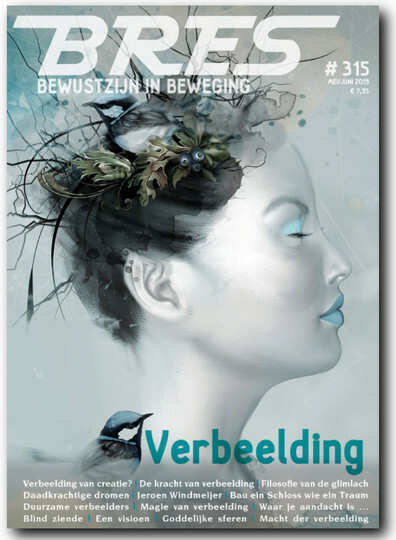 Anthony Gucciardi, klokkenluider/editor; “Dit is exact hetzelfde toen Eli Lilly, die in de jaren ’80 wist dat Prozac tot zelfmoord en agressief gedrag leidde, resulteerde in exact het tegenovergestelde effect van wat ze wilden. Ze wisten dat in de jaren ’80 ze het onderzoek zouden doorzetten. Ze deden hun onderzoek en was pas in 2005 door de BBC naar buiten gebracht. Maar toen wilden ze dat hun zakelijke belangen deze studies zouden doen en ze laten vertellen hoe geweldig het was. Ze moesten natuurlijk toegeven dat anti-depressiva’s wel zelfmoord en agressief gedrag veroorzaken, bijna elke schutter staat op hun gericht. RT: We hebben de machtige CTIA lobbyist van de telefoon industrie uitgenodigd om dit opgeworpen onderwerp te bespreken. Ze hebben online geweigerd. CTIA telefoon lobby: Bedankt voor uw uitnodiging, maar we zijn niet in staat dit interview te doen. De meest gerespecteerde journalist van deze industrie is Dr. Louis Sletig, editor sinds 1981 van Microwave news. Louis, fijn met u te praten, er schijnt een parallel te zijn over wat de industrie zegt alle anderen. Dr. Louis Sletig, Microwave editor: Het hele systeem is kapot. De waarheid wordt niet meer verteld, het is krankzinnig. Weet je, het is heel simpel om te zeggen dat we een fout hebben gemaakt met tabak nadat we weten dat tabak dodelijk is. Het punt is dat er actie moet worden ondernomen. RT: Er wordt buiten de US actie ondernomen. Frankrijk brengt bekabeld internet weer terug in de scholen in plaats van Wi-Fi. Landen van Duitsland tot Israel en Finland doen moeite om de verkoop te stoppen van mobieltjes aan kinderen. Maar Obama heeft zojuist hoofd industrie lobbyist Thomas Wheeler hoofd van de regelgeving FCC gemaakt. Een voormalig administratief ambtenaar noemt het wederom een verbazingwekkende belangen verstrengeling. Dus de doktoren tenminste ouders willen waarschuwen over de gevaren voor hun kinderen van mobiele telefoons zeggen dat zij hun adem niet in zullen houden. Zoek waarheid in feiten. Dit is de waarheidszoeker..
Coen Vermeeren over UFO’s bij Radio1..Snowden’s documenten: ‘De VS-buitenaardse agenda’..! Gelezen, maar wat doen ‘we’ er aan? Zelf niet gebruiken, ok, maar wat verder? Anderen ook informeren, da’s ook een goeie. En wat daarna? Kortom, hoe help je de straling de wereld uit? Ik stel deze vragen om dat ik de antwoorden om van straling af te komen niet goed weet. Doe je wifi uit, ’s avonds, als je al WiFi wilt gebruiken..!! Flikker die DECT-telefoon er dus uit, dat zijn dus de ergste storingen, die er in huizen zijn.. Zelfs de babyfoon (draadloos) is hierop gebaseerd. Gewoon crimineel..!! Gaat door muren heen..
En er zijn stralingsblokkers, genoeg in de handel. Kijk op testen etc. etc. DOE ER GEWOON WAT AAN! Gebruik toermalijn-steentjes om je computer heen, die neutraliseren ook. Ook aardingsmatten bij je computer goed tegen straling. Zie voor nog meer producten linkerkolom. Hoe beschermt een aardingsmat tegen straling? Deze (web)winkel is al 10 jaar erop gespecialiseerd en verkoopt alles wat met binnenklimaat te maken heeft. P.S. op you tube zijn nog 2 delen te vinden. Hoi, ja ik ben er achteraan gegaan. Tegenwoordig zijn daar inderdaad filmpjes van met multimeter. Maar goed, mobiele telefoons, we kunnen eigenlijk moeilijk zonder. Ook gezien de enorme economische, zakelijke en persoonlijke belangen spelen een grote rol. Neemt niet weg dat iedereen voor zichzelf de (verstandige) keus moet maken om het gebruik van haar/zijn apparaat te beperken en waar het kan, een vast toestel te gebruiken. Prettig leven verder! Ik vind dat overheid, ngo’s en telecombedrijven als geheel hier een grote verantwoordelijkheid in hebben. Momenteel is er geen goede informatie en TOTAAL GEEN PREVENTIE. Dit is een totaal onderschat gevaar! Best veel artikelen over straling gelezen, maar nog steeds nooit een keiharde nee of ja het is gevaarlijk gehoord. Dus voor mij, smartphone is leuk en een hobby van me (rooten enz. ), wifi is makkelijk, net als draadloze telefoons. Wifi gaat ’s nachts automatisch uit, de dect foon boven staat altijd uit, maar kan in geval van nood, binnen enkele secondes aangezet worden. Geen smartphones of wifi gerelateerde apparatuur op de slaapkamers. Tablet en laptop mogen alleen op de tafel gebruikt worden, nooit op schoot. Kids geen smartphone voor hun 12e tenzij tegen die tijd het onomwonden vast staat dat er geen nadelige effecten komen. och?? waarom denken jullie dat de regeringen hier niets tegen doen !! om dat er heel veel mensen van de aardbodem moeten vertrekken !want er lopen er veels te veel rond ,kijk maar eens naar die schippers ook die wil de farma chemie een veer in de reet steken maar HET?? NATUURLIJKE moet verdwijnen want daarin moet/mocht je eens gezond van /blijven zijn/worden ?? daar om doen de regeringen hier niets tegen die vinden het wel goed zo?? Dan weet je precies hoe het zit in jouw huis..
Ethan Wyman, 10 jaar, overleden aan een hersentumor na 11 maanden strijd tegen de tumor. Ouders denken dat WiFi & Wireless Ipod de oorzaak zijn. Weet iemand hoe het zit met bodyscans? zo’n apparaat die ze langs je lihaam bewegen om bv mobiele telefoons te detecteren. Ik vertrouw dat niet en op meijn werk stellen ze het voetvolk hier meerdere malen per week aan blood. Ja, bodyscans geven je straling en kunnen je DNA beschadigen. Je hebt het recht om dit te weigeren. Ik ben al ter verantwoording geroepen met dreiging van …. Ik heb al artikelen van o.a. deze site aan het bedrijf gegeven. maar weet je of er artikelen zijn over bodyscans aka ik denk soort metaal dectoren? Ik moet eerdaag op gesprek komen en het zou fijn zijn of ik wat directere info zou hebben. Met recht van weigeren zijn ze nu juridisch aan het uitzoeken. Ik heb de rechten van de mens ook aan het bedrijf gegeven dat ik me daarop beroep. Zijn er die mischien nog andere dingen weten waar ik me op kan beroepen? De bodyscanners in de VS dienden te worden weggehaald omdat ze stralingsgevaarlijk waren, of beter: NIET stralingsONgevaarlijk..! Ze zijn ze nu aan het vervangen. Het is geen kwestie van Welles/Nietes rc.. Het gaat voor jou om het gevoel van veiligheid, dat niet is gegarandeerd. JIJ HOEFT NIET aan te tonen dat het onveilig is. ZIJ MOETEN aantonen dat je veilig BENT..
En dat doe je niet door te zeggen: “Tot nu toe zijn er geen klachten geweest”..! Succes man! thanx Guido voor je reactie. Ze schermen nu dat het een veiligheidscertificaat heeft. Mijn reactie is daarop geweest dat het een niets zeggend iets is en als voorbeeld noem ik de propaganda vd overheid dat het zo veilig is om je te laten inenten. En dat is ook al duidelijk dat dat niet het geval is. Helaas moet er eerst een royale catastrofe plaats grijpen, eer ‘men’ wakker wordt en bereid tot actie. Bewustzijn groeit door juiste informatie. Knetterhard en met humor werkt het meest efficiënt. Je brein kan niet koken, dat is wat te, wel kan er celschade optreden wat dus gebeurd. Ik ben zelf overgevoelig, ben hier in de polder komen wonen, helaas nu hebben ze hier ook een mast staan van de buur een 6.5 watt ruckus wfi mast die 15 km kan overbruggen. terwijl de woningbouw weet wat er aan de hand is, ze hebben rechtszaken verloren toen en toch geven ze weer vergunning, o mij terug te pakken,? ja want zo zit nederland in elkaar, overheid hier zijn misdadigers..